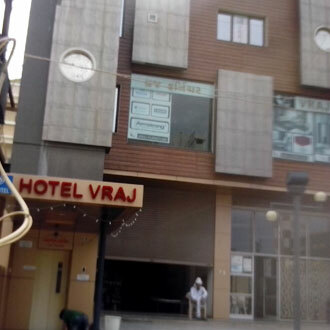 Hotel Vraj is an ideal budget option for the travelers of Jamnagar. This 2-floored smoke-free property is located 5 kilometers from the airport welcomes its gusts in 13 well-maintained rooms that have a warm and homely ambiance. Guests are offered with range of customary benefits like a parking space, elevator facility, travel counter, backup generators, airport transfer, breakfast services, complimentary newspapers, business center and medical aid in-case of emergencies.